Info is uncertain here: the sizes and exact date painted may be able to be found, but I haven't yet. Quiet magical winter scene of people walking near the temple at Asakusa in Edo (modern day Tokyo). 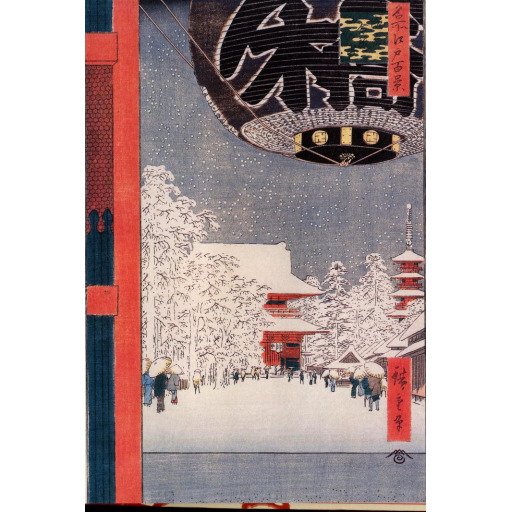 Snow is falling, everything is coated in a soft white blanket, and the foreground is dominated by a massive paper lantern. No "current location" for this work, since it is a print, and there are many "original" copies in existence.